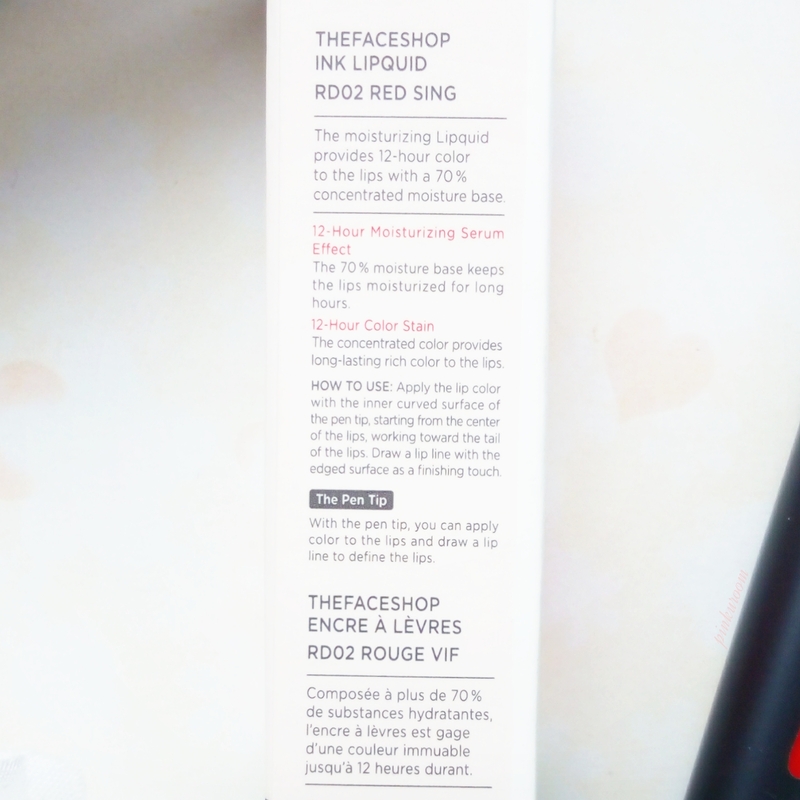 Today I want to review one of The Face Shop new product which is Ink Lipquid. Lipquid is stands for Lip Liquid. Lipquid is a combination of lipstick colors, long lasting tint effect and moisturizing gloss. What makes me want to try this lip product is because the color pigments are made from natural ingredients and it’s a lipstick, lip gloss and lip tint in one! 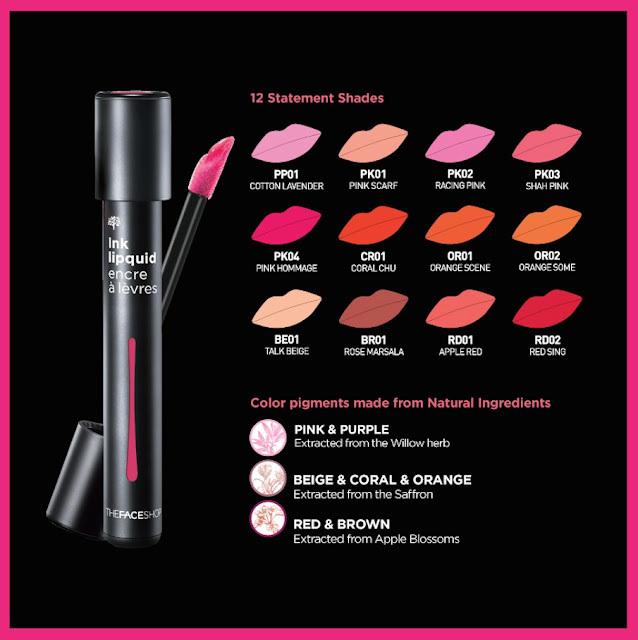 It said ‘The moisturizing lipquid provides 12-hour color to the lips with a 70% concentrated moisture base’. 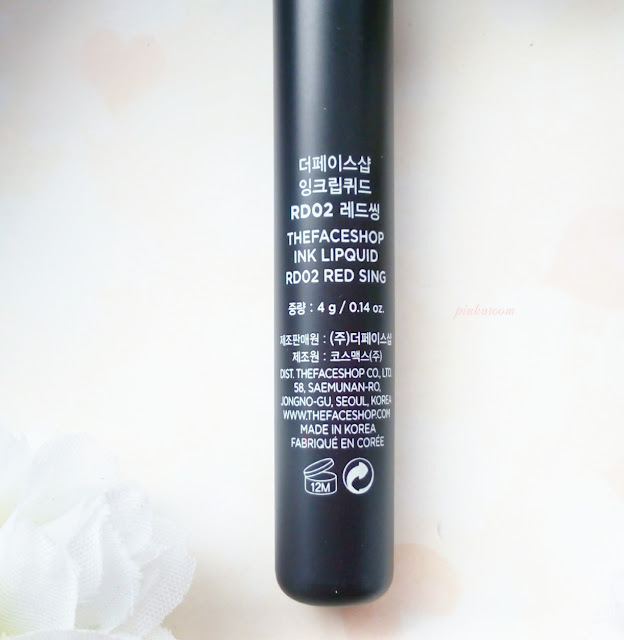 The packaging of this Ink Lipquid is unique and made from plastic with black colour. There’s a slight front part that transparent so you can see the colour of the lipquid inside, also there’s shade name on the cap so you won’t confused if you have some colours of this ink lipquid. 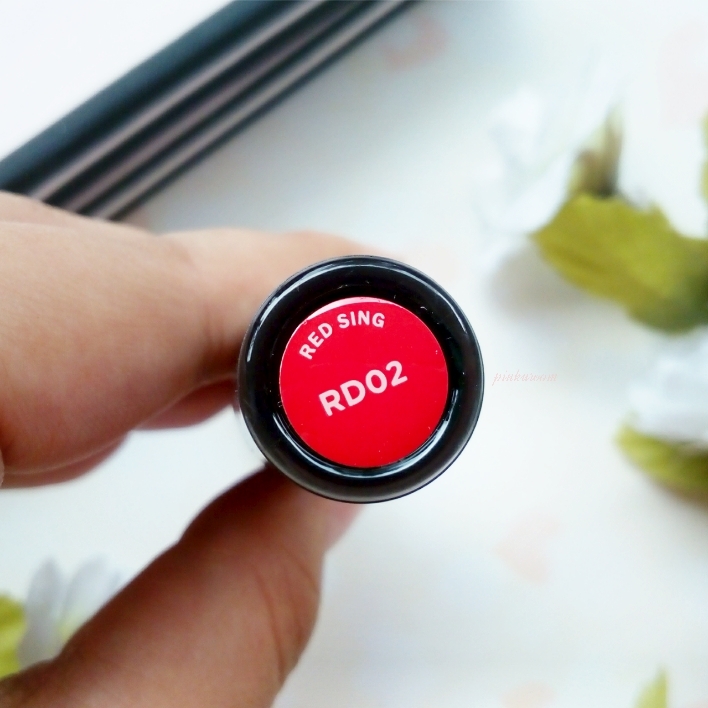 Mine is shade RD02 Red Sing, a bright red colour with orange hint. But this color looks more orange than red on me haha. 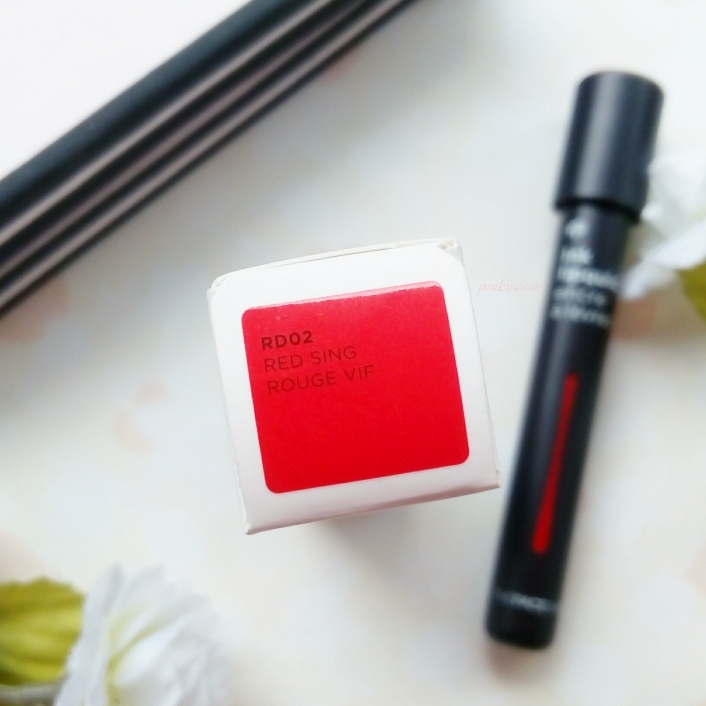 Close to NYX Matte Lipstick Indie Flick which is their best seller colour but darker. 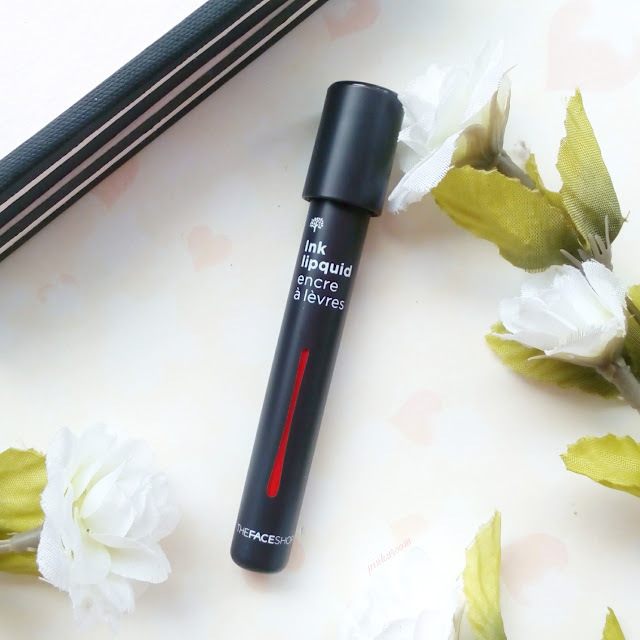 The applicator is my favourite part of The Face Shop Ink Lipquid. 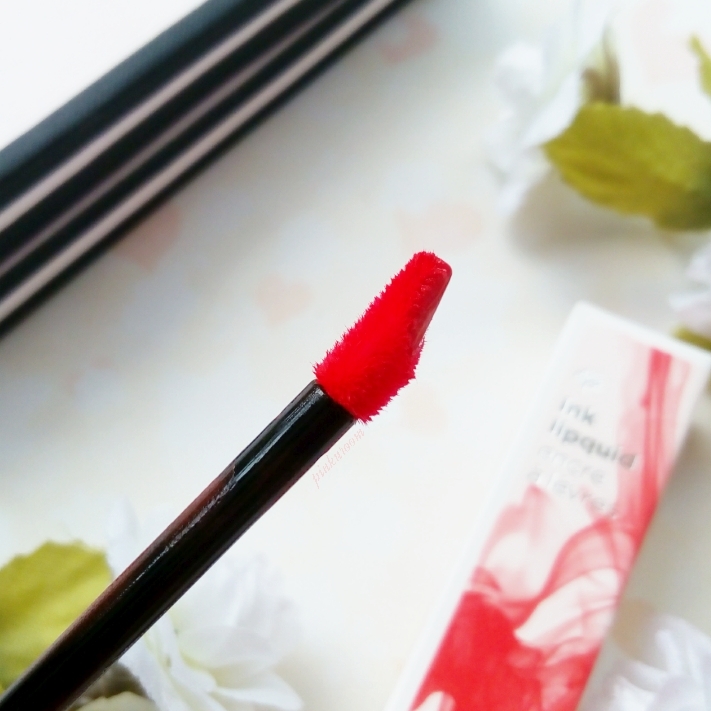 The curves is perfect to apply liquid lipstick and you can use the tip to line the outer part of your lips. 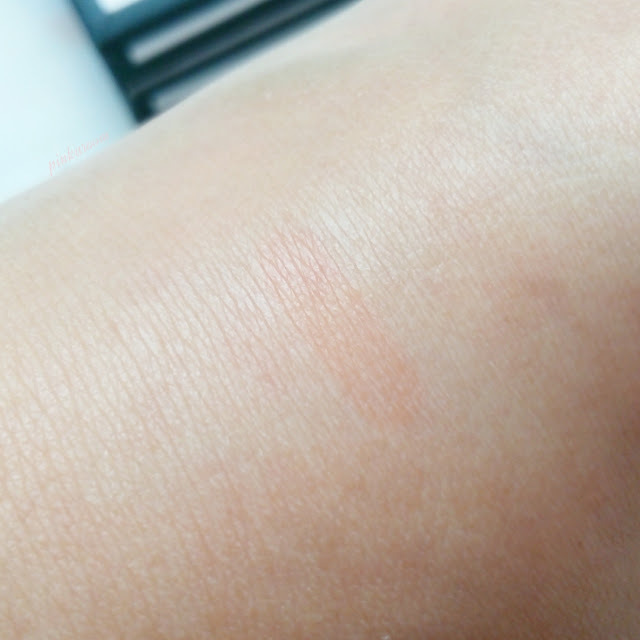 After I swatch this ink lipquid on my hand for this review, I remove it with tissue and look at this stain! I really hope the stain will works like that on my lips too. After 2 hours 30 minutes I drink and ate noodles, it still left an orange stain in the inner part of my lips. 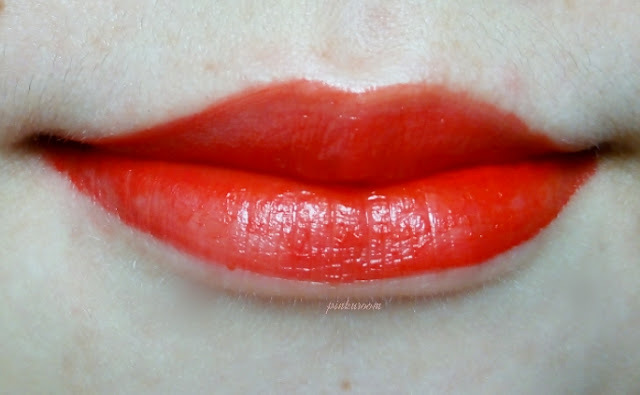 Like a gradient lips? Haha. Ink Lipquid is great for everyday use and you just need to re-apply maybe about 3 hours after you first apply this ink lipquid. Even if you don’t re-apply the stain still there a little so you won’t be completely pale like not wearing any lipstick. 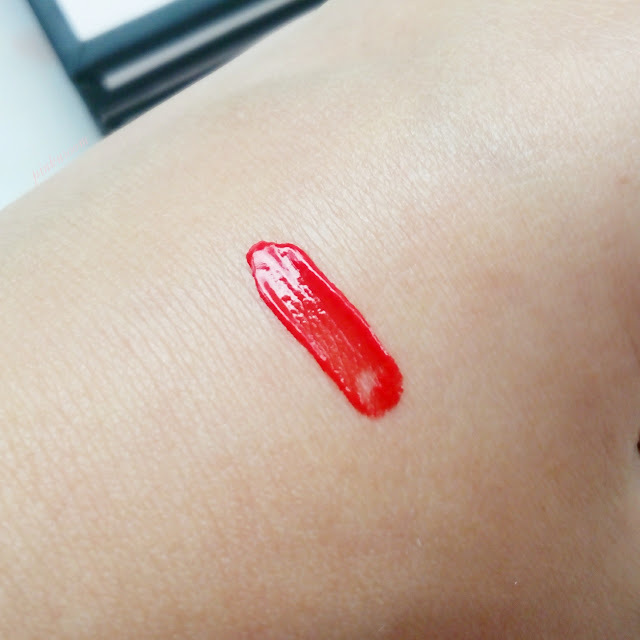 You also can make gradient lips with this ink lipquid, just apply it in the inner part of your lips and blend it out with your finger. Do I need to use lip balm first? 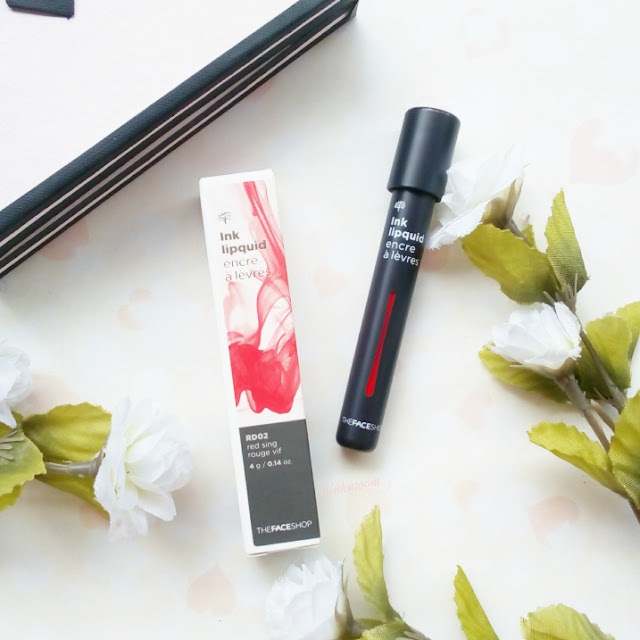 You don’t have to but it’s even better if you want to, because 70% ingedients of this ink lipquid is moisture base that keeps your lips moisturized. I used The Face Shop Ink Lipquid twice without lip balm and it’s fine, no dry or chapped lips. But after more than two hours the moisturizing effect is gone so if you don’t want to re-apply you have to bring your lip balm. 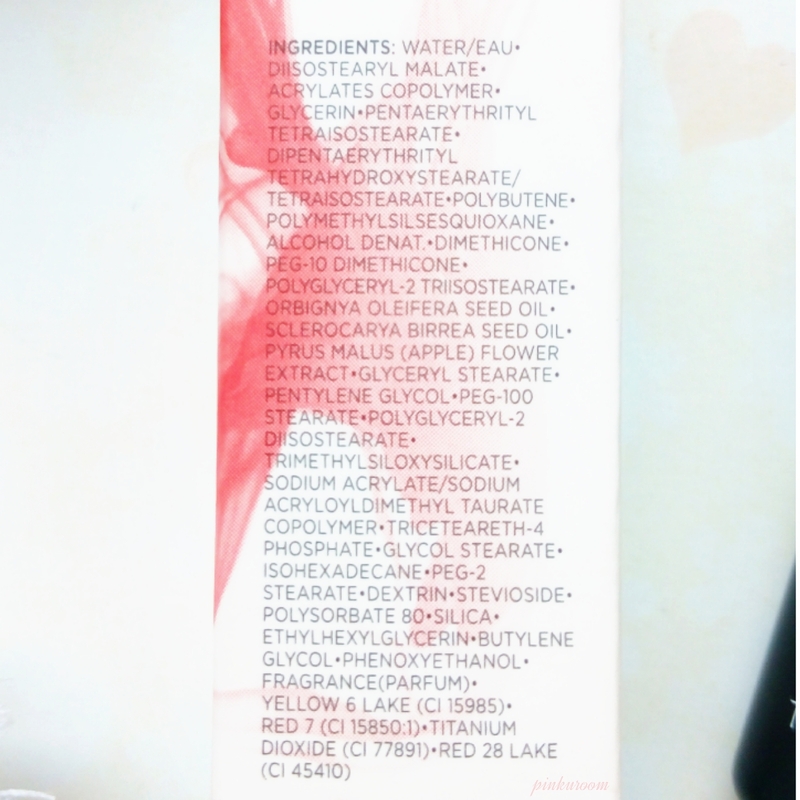 It’s more like you need to use lip balm after few hours using this Ink Lipquid, not before applying it if you know what I mean haha. I really want to try another shade of Ink Lipquid like PK03 or PK04. 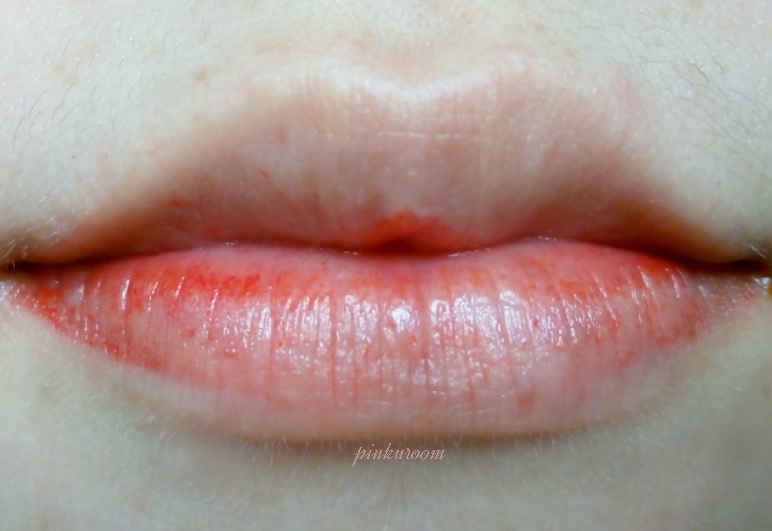 I didn't know this lip tint from faceshop yet but it seems to have a great stain after all. Also, the color is lovely. jatohnya bagus ya wiiii~ di gue kl udh lama jadi crack gitu pdhl demen bgt sm warnanya :""